How Are Electric Heaters Better Than Night Storage Heaters? In case you are not sure whether a electric heater or a night storage heater will be suitable for your conservatory then the details we will provide here will help you make the right decision. In the following sections you will find several reasons why an electric heater would generally be much more feasible both from cost point of view and from perspective of features it has. So, let us go through the details. Electric Heater or Night Storage Heater? At first let us look at how night storage heaters function. Storage heaters consist of clay blocks which require heating of around 8 to 9 hours for providing seven hours of heating on the next day. It is not uncommon for storage heaters to go empty quite early in the evening on cold winter days, thus requiring extra heating to keep the space warm. This means extra energy is required for heating the room and consequently, higher energy bills. These night storage heaters contain electrical elements similar to the ones present in electric stoves and ovens. The heating elements present in storage heaters tend to be resistor material which are able to resist electricity flow. Electric current flowing through the elements turns into heat which is in turn used for heating the bricks (clay blocks). It is quite likely that the night storage heater would continue to release heat (albeit slowly) all through the night and result in waste of energy and result in higher energy cost for you to bear. The benefit of electric heater is that it does not take so much time to heat up (night storage heaters take up nearly 8 to 9 hours to heat up the clay core bricks). As such they need less electricity for reaching operating temperature and start releasing heat into your conservatory within a few minutes after they are switched on. Storage heaters are not able to respond to changes in weather, as for instance, if on some days the weather is warmer than usual then it will result in storage heater having excess heat than required and would mean unnecessary higher energy spending. This is uncontrollable since the storage heater heats up during the night and you can cannot predict how the weather will be next day. On the contrary, electric heater can be switched on or off anytime you want and in addition to it, they have thermostats which you can set manually to desired temperature as per current weather conditions. As such, you will experience higher energy savings since electric heater will be using less energy as compared to days when weather gets quite cold. You will find some present electric heating systems which utilize ceramic fire clay (known as Chamotte) or Soapstone core, which can quickly heat up, resulting in lower energy cost. 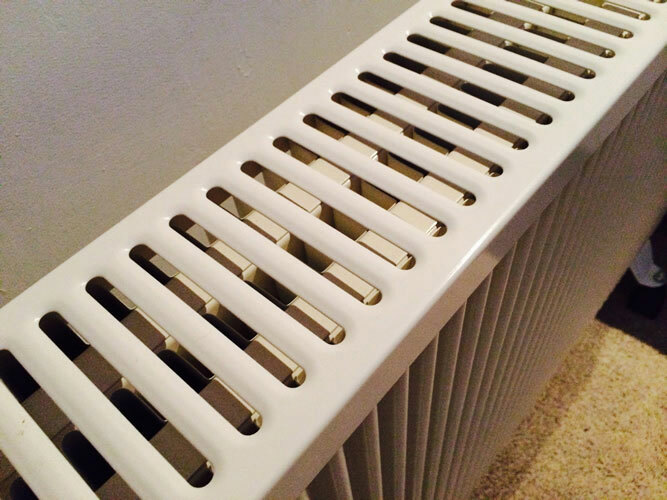 Additionally, Chamotte is known to retain heat within the core of the radiator that results in even lower electricity drawdown, making such as option quite cost effective. If you are not staying in the conservatory all the time and require heating for shorter duration then such quick heating provided by an electric heater will be ideal option for you to choose to get desired warmth while at the same time save on energy cost. On rather cold days, the night storage heater will get exhausted of its heat quite early (since you will have to run it at a higher temperature and its heat retention is limited) and after that you will have to depend on more costly backup heating to keep the conservatory warm. But you will not have to face this type of problem with an electric heater since you will be able to run it at a higher temperature setting for all day long without resulting in higher energy cost. Thus, as we can see there are several advantages of using electric heater for heating your conservatory as compared to night storage heaters. An electric heater helps you save energy cost, is easy to install and allows you to have complete control over the heating system.